Any of the following gifts are sure to delight the Goodest Boy or Girl in your life! We are just 1 week away from Christmas! Haven’t gotten your dog the perfect gift just yet? Don’t worry, we’ve got your back! Visit City of Paws Pet Care in Manayunk to purchase these excellent options! ZUKE’S has many flavors to keep your pup engaged and interested. We also recommend Happy Howie’s Meat Rolls for when you are working under distraction! At Attention Dog Training now sells these directly on-site available in Beef or Lamb. Trainer Katherine’s pick is the PetAmi Treat Pouch for daily walks with your best friend! Trainer Katherine’s very own PetAmi Treat Pouch for walks with her Cavalier King Charles Spaniels, Chandler and Bennett. Not only is there room for your treats but there is a poop bag dispenser and plenty of room for your cell phone and other essentials. Looking for something to keep your dog busy and engaged while you wrap gifts or bake cookies? Our friends at City of Paws Pet Care have you covered! Want to really get your money’s worth out of the Bully Stick? Use it with KONG Toys! 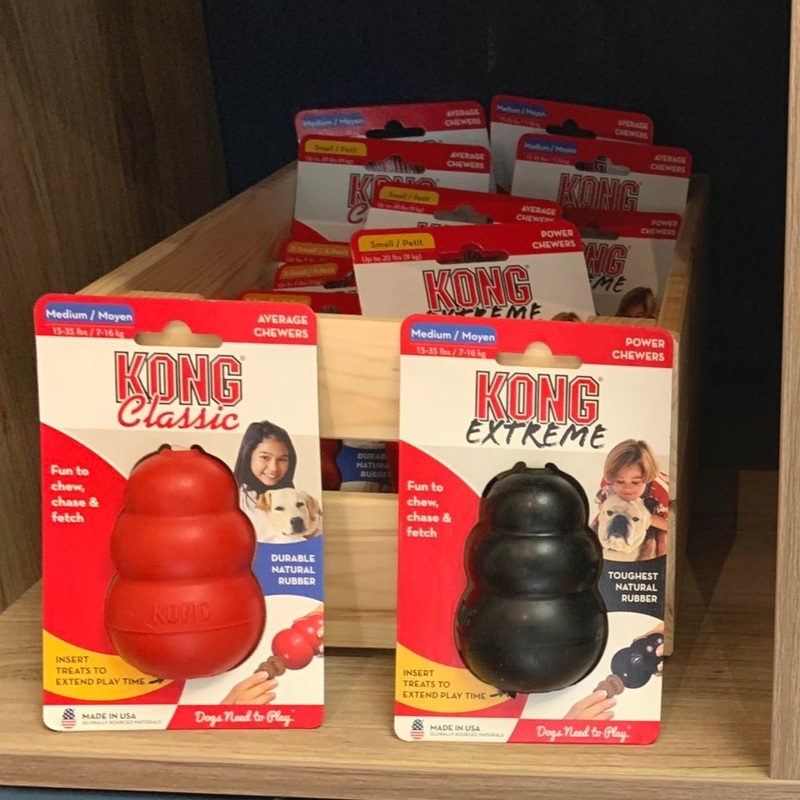 Trainer Heather’s pick: What don’t we LOVE about KONG brand toys? When used correctly (with food reinforcers inside) they are an excellent enrichment tool! We suggest you use a combination of wet food, treats, kibble, fresh chicken or ground beef and veggies. Don’t forget the Peanut Butter (no fake sugars!) to seal the KONG on both ends and then freeze. Bully sticks also fit inside to create a more difficult challenge for your puppy or dog. WATCH us prep a KONG for our dogs: LINK. Not sure what size to get? Shoot us a message and we’ll make a recommendation for you. The snuffle mat is a fun way to let your dog get their sniff on! Engaging that seeker system is so important and with the weather getting colder, sometimes walks might get a little shorter! Give your puppy or dog an alternative way to eat their breakfast or dinner with the Snuffle Mat. You can make this a DIY Project if you wish or make it simple AMAZON order - here. Trainer Dave’s pick is the Licki Mat. Freeze these mats with delicious high value food for enrichment puzzles and pairing potentially scary situations with something wonderful. Licki Mats are great to keep on hand! We bring ours to our veterinary visits with Fear Free Pets Certified, Newtown Square Veterinary Hospital! We MIGHT ‘borrow’ some of the EZ-Cheeze they keep in their exam rooms… but boy does it help Otis when he feels stressed. The different textures create a ‘puzzle’ of sorts for him to navigate. The same idea can be used for bath time to help any dog feel AWESOME about bath time. Trainer Lesley’s pick is BARK BOX! We can’t say enough wonderful things about Bark Box! 2 new toys each month, 2 bags of treats and a special chew! It’s the perfect delivery service for any dog to ensure that toys are novel and fun! USE THIS REFERRAL CODE and any new subscribers will help us send a BARK BOX to shelter dogs! Assistant Erika’s pick - The Pet Tutor. Looking for a high-tech option? The Pet Tutor might be answer.